Here’s a good question… Why doesn’t the government monitor the impacts of environmentalism on the lands of the West? Maybe you didn’t know they don’t monitor those impacts? Most people don’t. Many people don’t even think it’s necessary. Why monitor the impacts of Environmentalism? Environmentalism protects the environment. Protection doesn’t damage the environment. It keeps it from being damaged. (Damaged by humans, of course, because humans are the cause of all environmental problems. Everything else is, well, natural. That’s the definition of natural — whatever is not impacted by humans, which is, also by definition, pristine, balanced biodiverse…). We’re so sure this is the way things work that most of us believe that, once an environment is protected from human impacts, its problems are over. It’s either healed or on the way to healing because whatever happens to protected ecosystems happens according to nature — the one and only true ecosystem healing force on the planet. Because we’re so sure of this, once an area is protected, we usually don’t bother to go back and check to see how things are going, to see if healing is really happening because of our unquestioned assumption that protection always works. There’s another reason the government doesn’t check (monitor) to see if protection works. The government monitors human activity and its impacts to see if that activity is being sufficiently regulated. 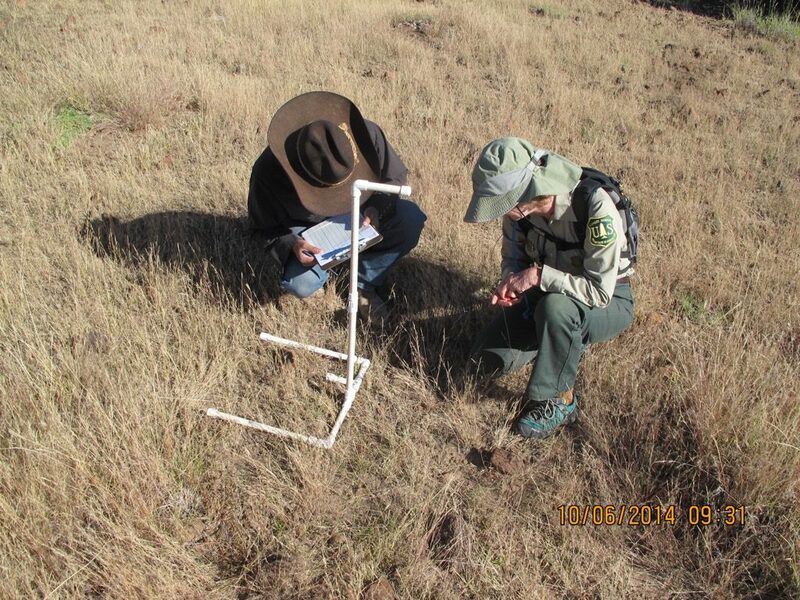 In the case of ranching/grazing, the government monitors to see if cattle numbers are low enough or if the time the cows are on the land is short enough. Protection is total regulation. You can’t get any more regulated than “Get ‘em off and lock it up,” so there’s no reason to check to see if you need to regulate protected land any more. It’s as regulated as it can get. Did it ever occur to you that this self-inflicted blindness might make us and our environment vulnerable to some very real and very serious problems — problems of which we and our representatives in government agencies designed to protect us from this sort of thing would be unaware because of our self-inflicted blindness? So, how do we take off the blindfold? How do we check to see if something works? Or to see if we’re right about what we think works or doesn’t work. One way is by applying science — by conducting a scientific study. The other is by trying the method in question and seeing if it gets the results we intend, expect, assume it will get. 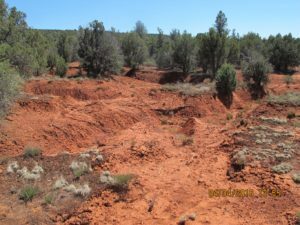 The good news is the U. S. Government has installed a number of study-sites, via a collection of agencies including the USDA Forest Service, to monitor the impacts of grazing on the public lands of the West. 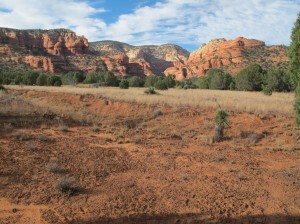 This includes the type of ecosystem that makes up much of the American West — rangeland, grasslands, or high desert, which is, by the way, the type of ecosystem that makes up the majority of the area of the West in which I live: the arid Southwest — central Arizona. The bad news is, well, hold on to your hat. The Right Way To Be Green is going to provide you with the opportunity to participate with the Forest Service in reading those studies. After all those public lands are your lands. You should know what’s going on out there. 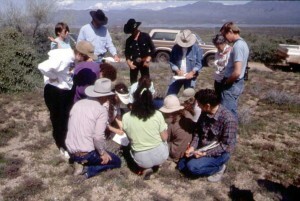 What’s more we’re going to give you the opportunity to read those studies right where you are, wherever you are, by using your smart phone or computer by means of which we’re going to take you to a series of real, official U. S. Forest Service environmental monitoring sites out on the Western rangelands. Don’t worry. You’ll be able to read them without a degree or any scientific training. 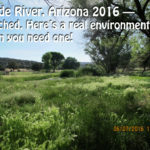 Once you’ve read those sites you’ll be able to quote the results you came up with the next time you’re involved in a conversation about (or the next time you find yourself wondering about), how we can make the beautiful, scenic Western wide-open spaces wild, pristine, healthy, balanced, and natural again? 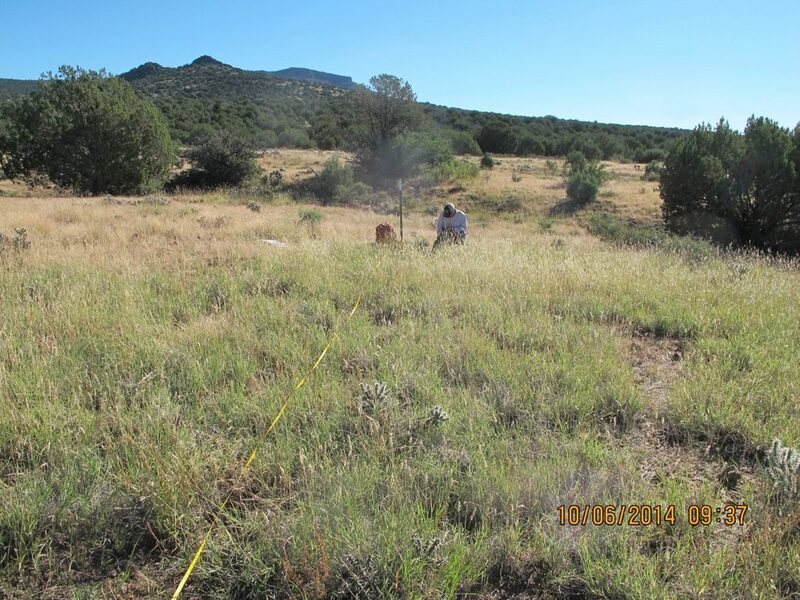 To get you started (and show you how to do it) let’s look at a photo of one of those US Forest Service monitoring sites mentioned above on a ranch in central Arizona’s Verde Valley as it was being “read.” To help you understand what is going on here — the range-monitoring fellow in the photo has selected two points 100 feet apart in a representative area and stretched a measuring tape between them. As the photo was taken, he is taking a reading at one-foot intervals along the tape of the vegetation present (including plant species and vigor) plus soil condition — organic litter, rock, bare soil, or erosion. Below is a photo of a device, called a frame, that range monitors have devised to help them do their readings. You won’t need one. Looking at these photos I’ll bet you’re thinking. “Wait a minute! How am I going to do this on my smart phone! 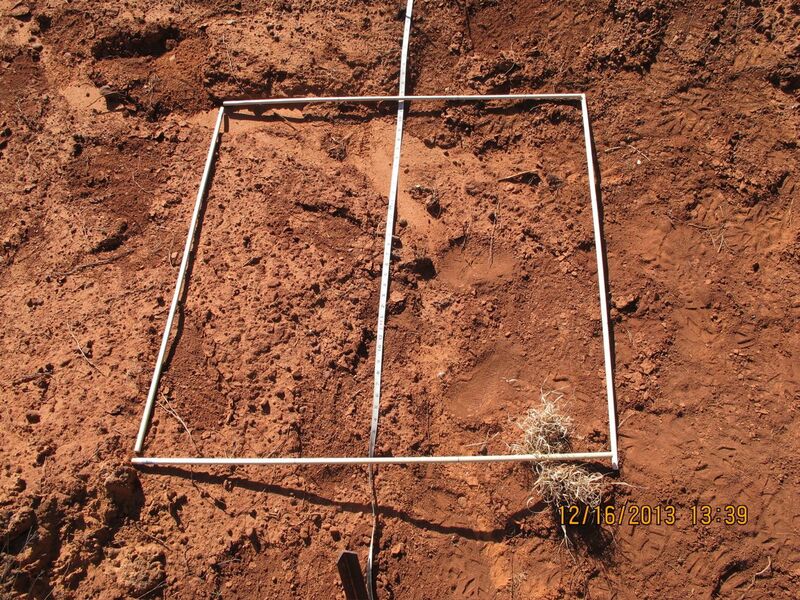 I can’t count plants, and recognize species on that little screen, and I can’t even see the soil, let alone tell if it’s eroded or bare or rock? Take my word for it. It’s going to be a lot easier than you think. I assure you, you’ll do just fine. So. Coming right up is your first opportunity to monitor the results achieved by environmentalism and protection in order to actually see, measure, and confirm how well this most important tactic we have for healing nature — “protection” — actually works. 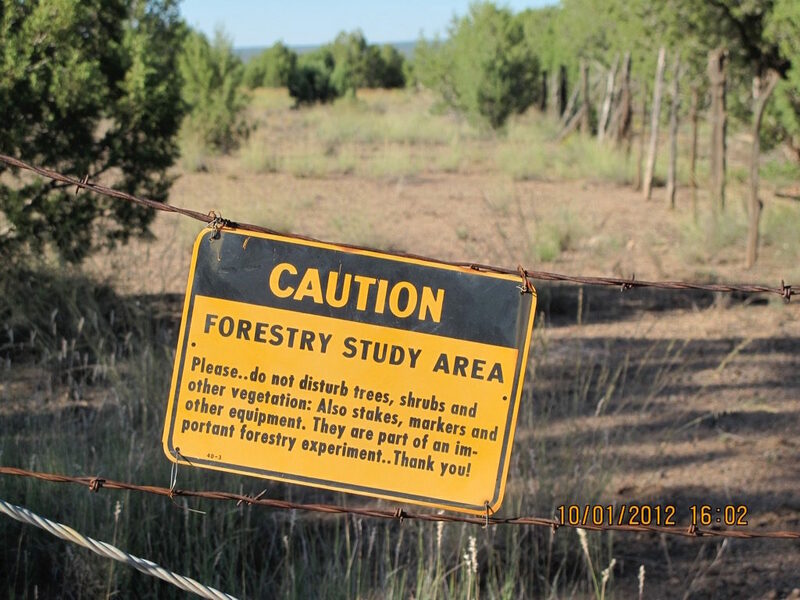 Our first study site is in an officially designated “Forestry Study Area” not too far from the area pictured above near a place called “Drake” that was once the site of a town that housed the builders of a remote stretch of railroad. This area was created in 1946 by fencing off a number of acres from all human use and impact to demonstrate the effectiveness of protecting the land as a means of restoring it to natural ecosystem health and function. 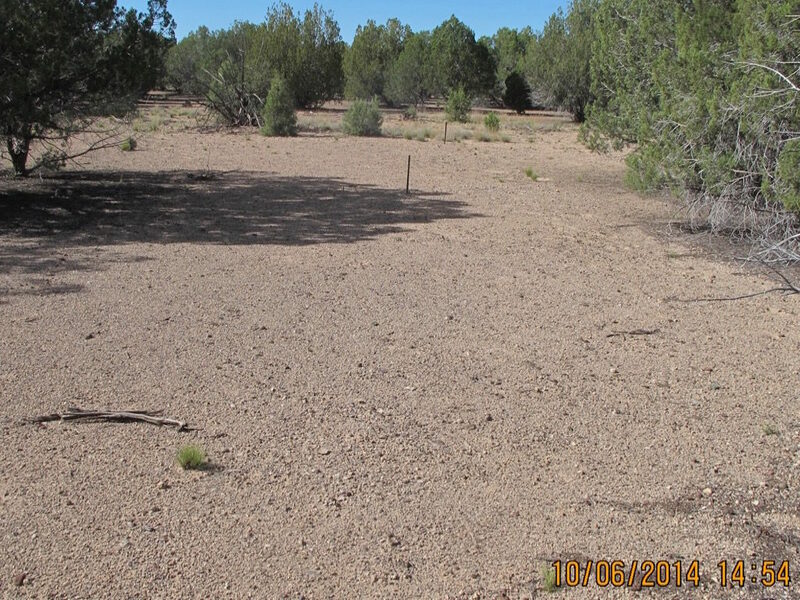 To make this more readable, measureable, quantifiable, and scientific several data collection transects were installed within the fenced-off area. You are now going to be able to personally read those transects and quantify and confirm the effect of 70 years of protection on some Arizona rangelands. 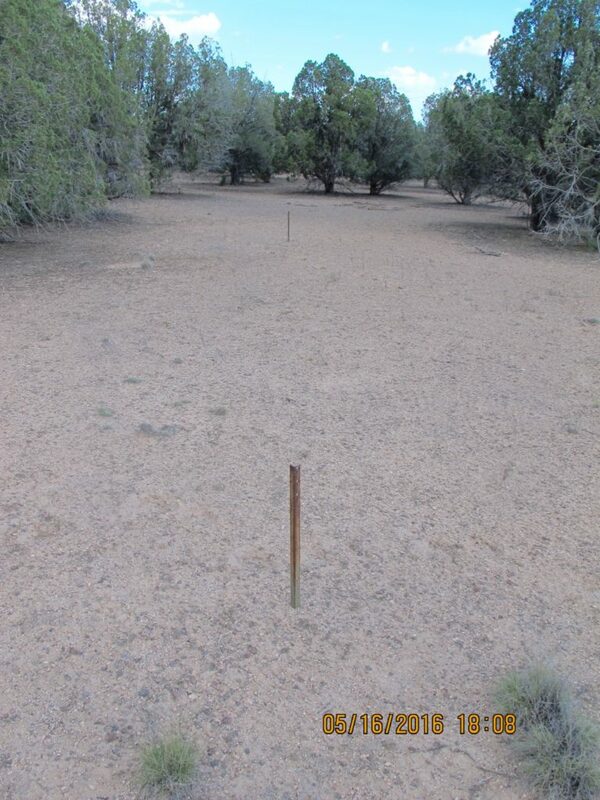 You’re going to see the two stakes that mark the ends of the 100 foot transect along which you are to stretch an imaginary (sorry) tape and record the species and condition of plants that have grown as the beneficiaries of 70+ years of. 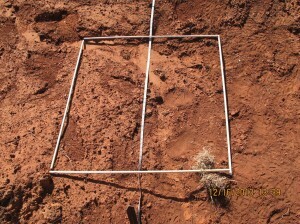 Reading the condition of the soil surface will be a little harder, but I’m pretty sure you will do well enough. First, enter the Drake Study area through the sliding gate. Slide the gate to the left, and there’s your study area. Remember, this study area was consructed in 1946. What you’re seeing is the results of 70 years of “protection.” Ready to record the results of your study? Count the plants that 70 years of protection has enabled to grow between the stakes. 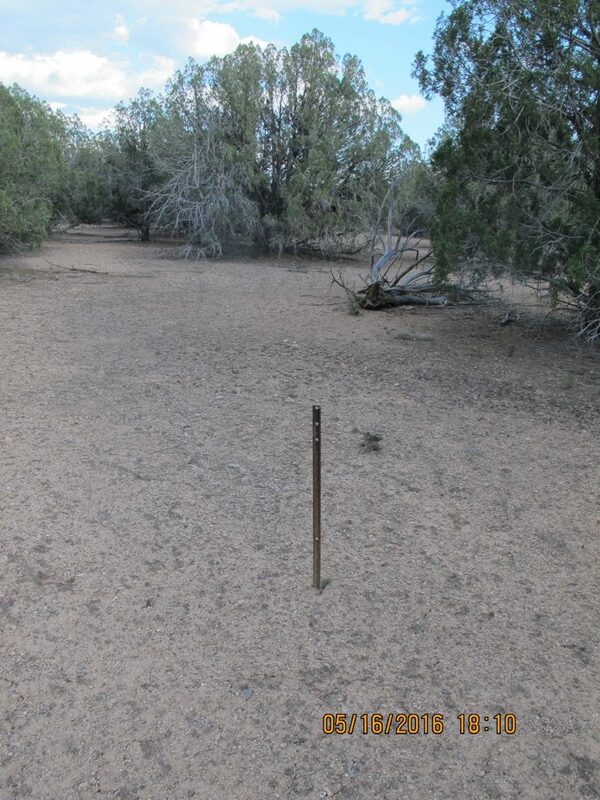 Notice that one stake (the one that marks the near end of the 100 foot transect) is missing. According to my calculations, it used to be near the lower left corner of the photo. I’ll bet you can guess why it hasn’t been replaced. Why bother? Would you travel to this remote place and read this transect every year for 70 years? After a while you’d probably just stay home and enter a zero on your plant count data sheet. 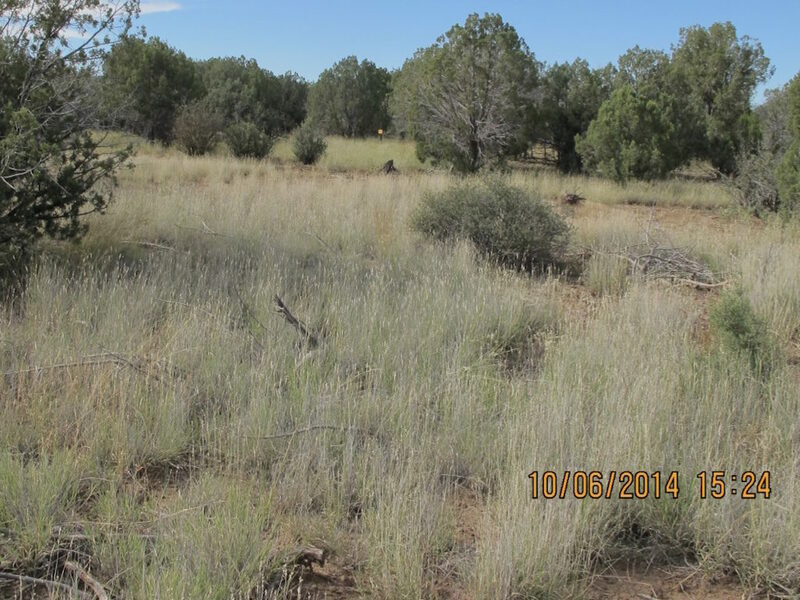 That, no doubt, is what has gone through the mind of whoever was in charge of reading this transect created to demonstrate the effectiveness of protection as a means of restoring and sustaining the health of a piece of Arizona rangeland. Actually, this transect has done its job very effectively. 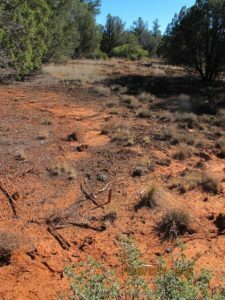 It has demonstrated the effectiveness of protection as a means of restoring and sustaining the health of this piece of Arizona rangeland. In this case the answer is “not very effective.” How about zero. But wait a minute. Maybe this is a fluke. One of those “exceptions that proves the rule.” Let’s look at some other transects inside the Drake Forestry Study Area. 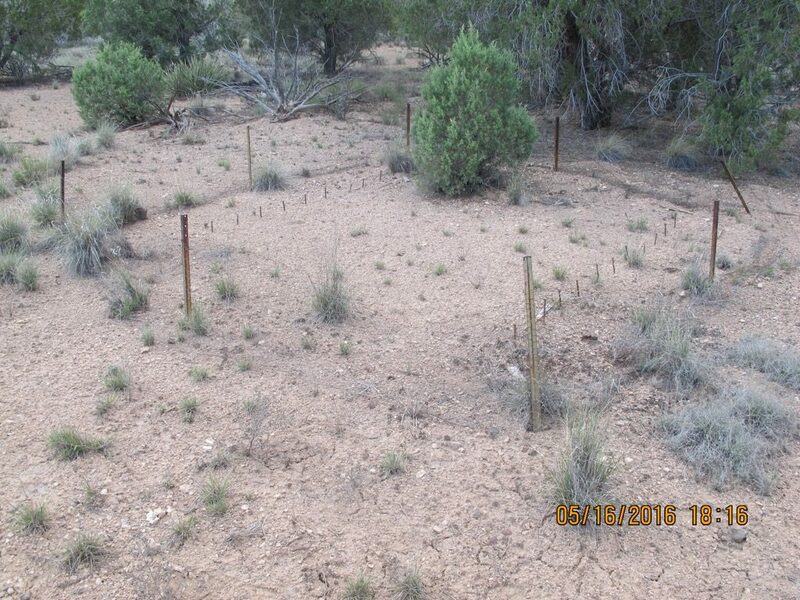 What did you conclude after reading (or at least looking at) all those studies that were installed to verify the effectiveness of ecosystem protection as a means of restoring health, function, and diversity to a damaged rangeland ecosystem? (The Drake area had been negatively impacted by heavy use of various sorts while the area was occupied by a community of railroad builders during the early part of the twentieth century.) The government scientists charged with reading those transects have apparently come to a conclusion. It’s clear they have abandoned the studies — all of them — no doubt in frustration. Would you drive out here every year for 70 years and monitor sites that never changed? 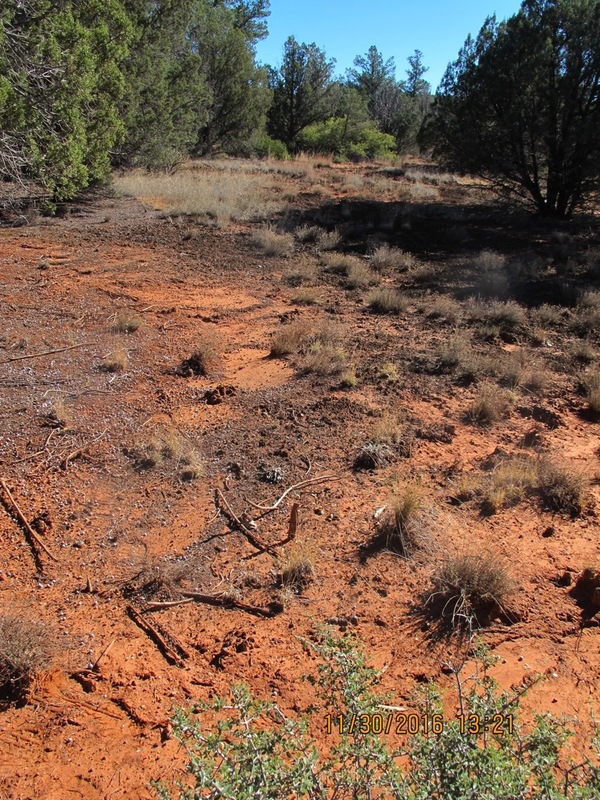 Especially when those sites contradicted, rather than confirmed, your hypothesis that ecosystem protection is an effective means of restoring health, function, and diversity to damaged rangeland ecosystems? These studies have obviously proved just the opposite — that protection doesn’t work, at least not in this environment under these conditions. But, wait a minute! Maybe there’s something really, really wrong with the land inside the Drake. Maybe that’s why protection doesn’t work there. Maybe it was so devastated by the people in that village of rairoad workers that used to be there that it’s going to take a really long time for nature to heal it. 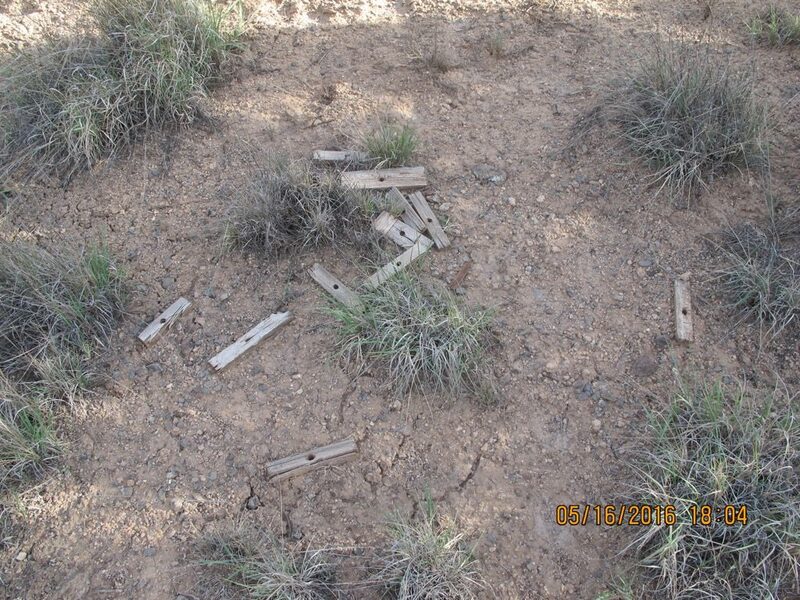 One way to check that is to step outside the Drake’s protective fence and see how things are going out there, on land that has continued for cattle grazing and firewood cutting and things like that. There it is. The photo in front (the barren one) shows the inside of the Drake — the area that has been protected for 70 years. The photo revealed when you slide the slider shows the land just outside the Drake. (See the little yellow dot in the middle of the photo just in front of the trees? That’s the Drake sign hanging on the Drake’s protective fence.) 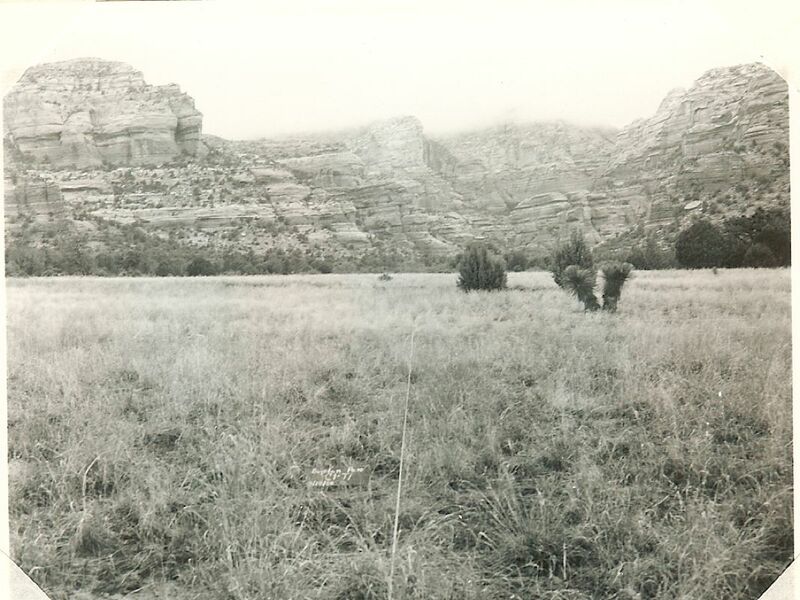 This land has been grazed by cattle for about a century and elk, bighorn sheep, bison, etc, before that and is still being grazed by the cattle of a ranching family who obviously understand ecology. Come to think of it, those earlier photos in this post — the ones with all the grass — they were taken on this family’s ranch, too. Here’s another study plot on an area of rangeland near Sedona, AZ, protected since the mid-1980s. 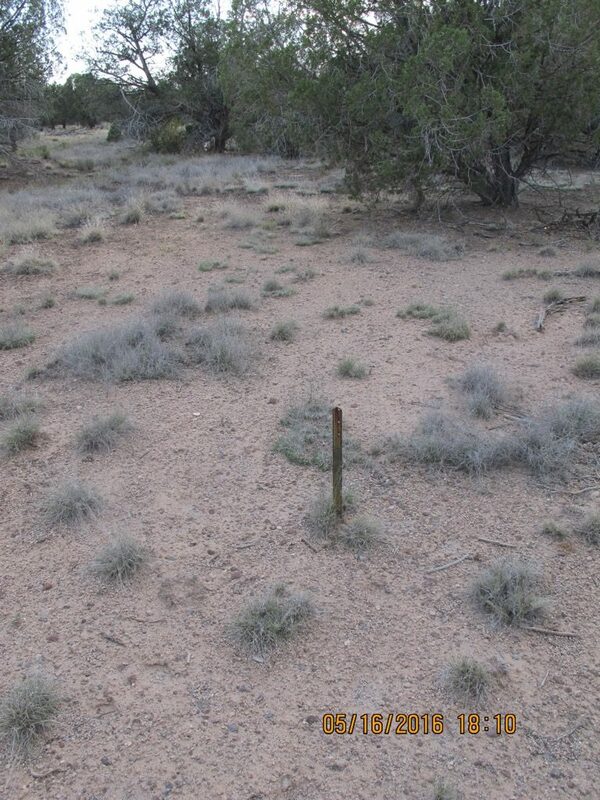 One interesting practice in this monitoring technique is to select a 3′ by 3′ area near stake #1 and map the plants there. Start mapping! 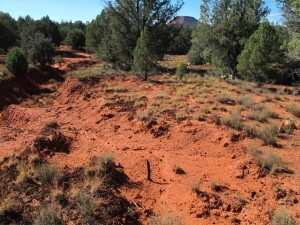 This site is in another study area that has been protected since 1950. The stakes have been pulled up indicating it hasn’t been read for a while. 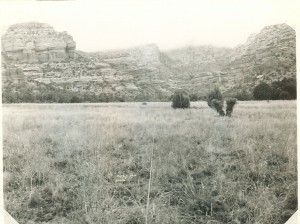 Here’s another transect, also near Sedona, while it is being grazed in 1958. Here’s the same area as in the previous photo. It hasn’t been grazed or monitored since 1988 (25 years). 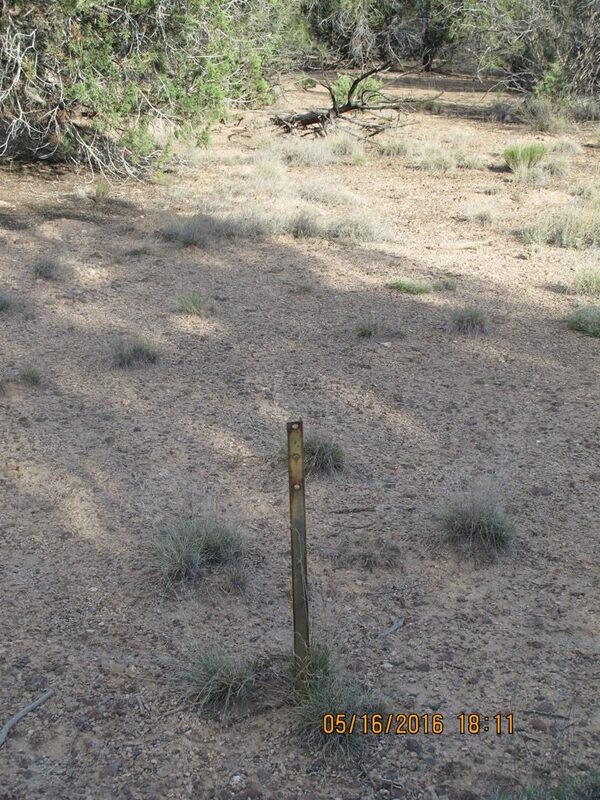 These photos show monitoring transects not far from where I live on US Forest Service land that is protected according to the dogma of contemporary environmentalism. The point all of these sites make is that when environmentalism, i. e., protection, doesn’t achieve the goal almost all of us assume it achieves without fail — return the land to ecological health, function, and balance — we ignore what our studies tell us and keep on “protecting” self-blinded to the fact that we’re creating exactly the opposite of what we claim we want to create. 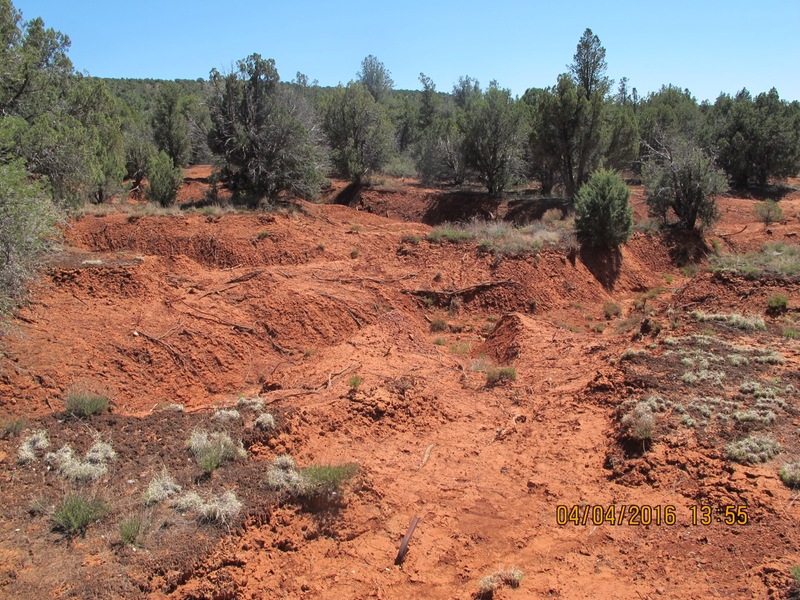 This leads to an obvious question: Why have government agencies stopped monitoring public land that is protected, as illiustrated here, to see whether the multi-billion-dollar environmental “protection” industry is harming those lands? 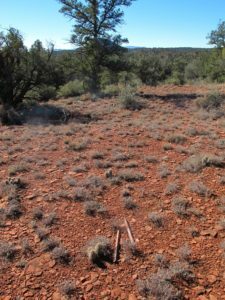 And, if protection is harming the land, as the above photos seem to indicate, why isn’t the government bringing action against the groups that market that destructive practice and cause it to be applied to public lands as it would against a rancher or other commodity producer who was causing similar damage?